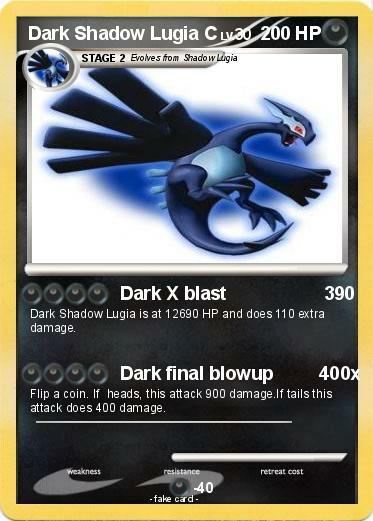 Dark Shadow Lugia is at 12690 HP and does 110 extra damage. Flip a coin. If heads, this attack 900 damage.If tails this attack does 400 damage.